At the beginning of the year I was asked to try out Gumtree Deals. I had never heard of them before, I thought Gumtree was the place to sell unwanted goods. I was wrong, it is also a great site for buying items at fantastic prices. I had a look at the deals and decided on a pair of gorgeous shoes which originally cost £44.99 from Little Miss Rubab for a jaw dropping £12. A perfect bargain I think. Ordering was so easy, I got a voucher code emailed to me and instructions on how to use the code on the Little Miss Rubab site. The shoes were delivered within two weeks which isn’t bad for shoes. The only thing I have to say is that they weren’t packaged very well, but that is Little Miss Rubab rather than Gumtree, whom I cannot fault. I got this gorgeous shoes, which are perfect for any outfit. I have worn them to work and they looked smart and had them on with jeans for that casual look. I even wore them with a dress on Saturday night when I went out for dinner with my hubby. 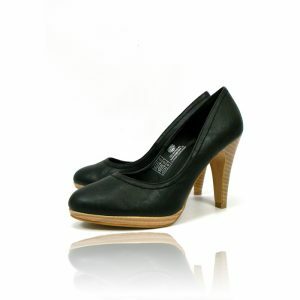 The most versatile shoes I have gotten and super comfortable too, they have a padded insole. I have signed up for their daily deals in which I get one email per day with the information on their daily deal and I have since purchased something. 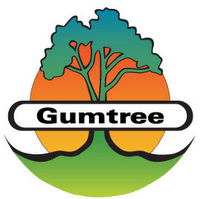 Gumtree is a website full of listings, easy to search via location, had a freebies section and is very easy to list and items you want to sell. I have sold quite a few of my children’s larger toys via the site and I have got my cat via the site. I think Gumtree is a very useful site and very easy to use. Not it also does deals, view Gumtree Deals, there really is no limit to it. I would highly recommend Gumtree for selling, buying and especially for their deals. Disclaimer:- I had the voucher paid for in order for me to try the website and the ordering system. My opinions are my own.